Minecraft was first released in 2011 and since then has become one of the best selling video games of all time. 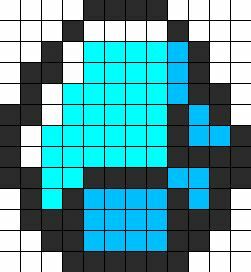 Its aesthetic is instantly recognizable and the blocky voxels allow for some easy crafting adaptations for a wide range of skills. There are many blogs and Pinterest pages with crafts, many of which are too complicated for children. This collection of crafts use common materials with simple steps that children with a range of skills can complete. 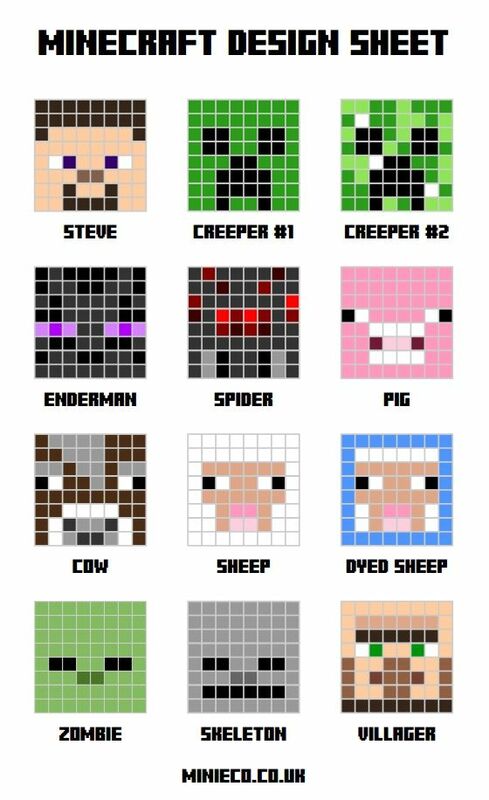 Using just a simple print out and an adhesive magnetic sheet and a pair of scissors you can create a wide range of Minecraft creations (especially using the 8 bit designs listed below). These cross over into costume/dress-up too. 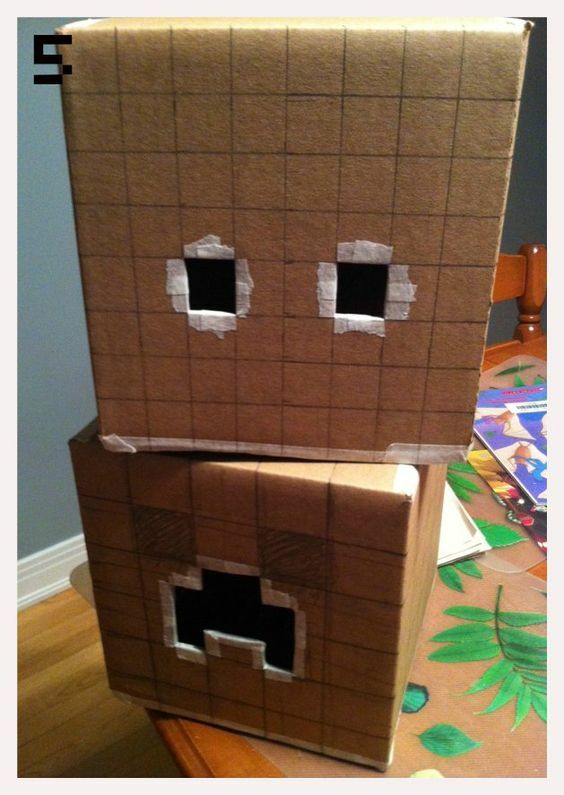 The link provides directions for making Steve and Creeper heads out of cardboard boxes. 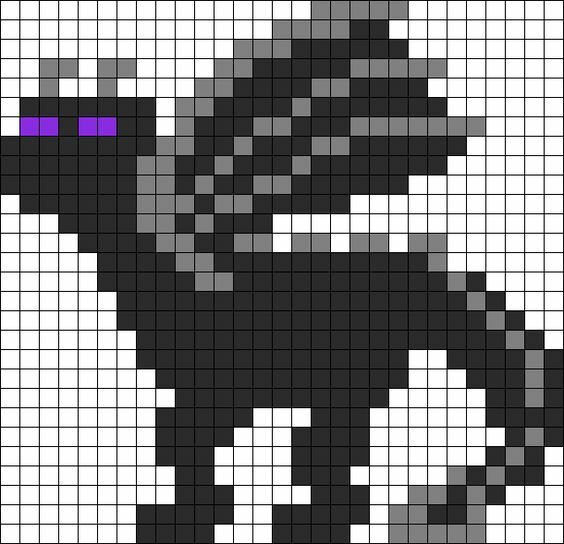 The labor intensive part for the adult is going to be making the grid lines. 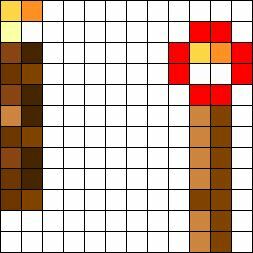 These patterns are perfect to use with perler beads. Younger crafters can follow these designs and create their favorite characters. These designs are not limited to beads, and can be used for a range of crafts for more experienced crafters. Some additional crafts include: Friendship bracelets, quilt squares, knitting or crocheting. This design is longer and thin which is intended as a friendship bracelet, but could easily be used for other crafts. For kids that like to paint and (mostly) can stay in the lines, this is a great painting activity. For younger kids an adult would need to paint the grid and indicate the color to use. 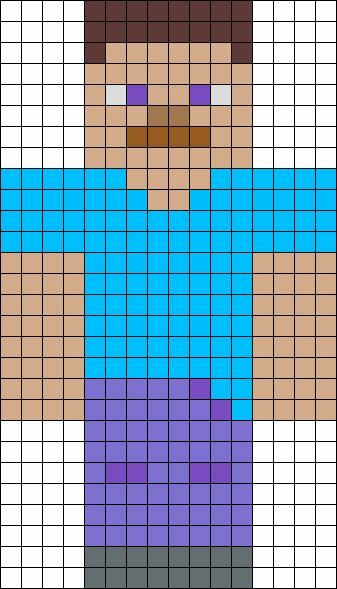 For older kids, they may still need assistance creating the grid. 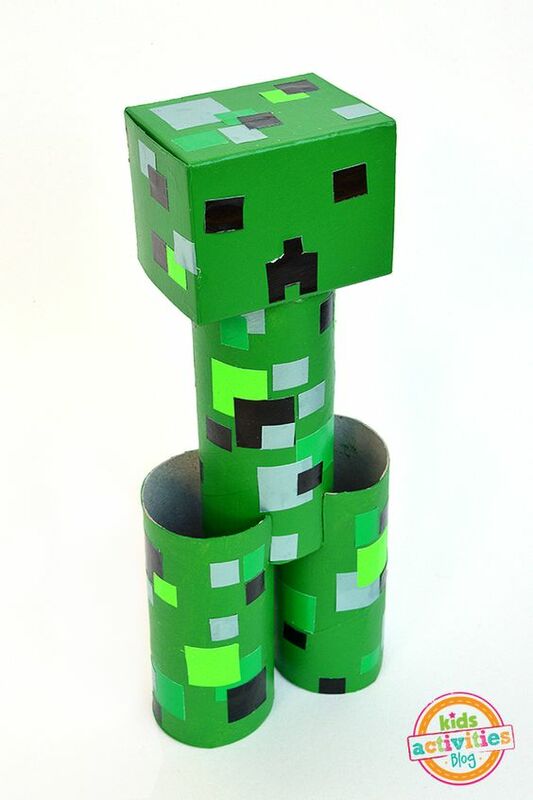 These could also become bedroom decorations for a Minecraft fan. Shrinky Dinks are a classic craft that you can create using any theme. 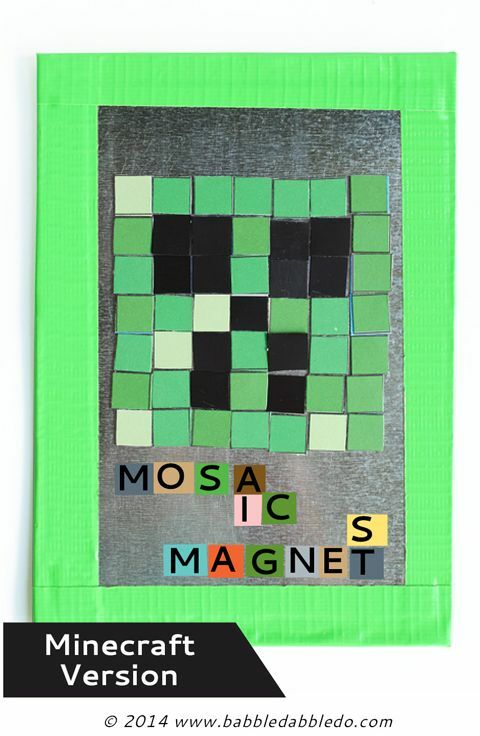 By tracing Minecraft pictures you can make you can have Minecraft Shrinky Dinks! 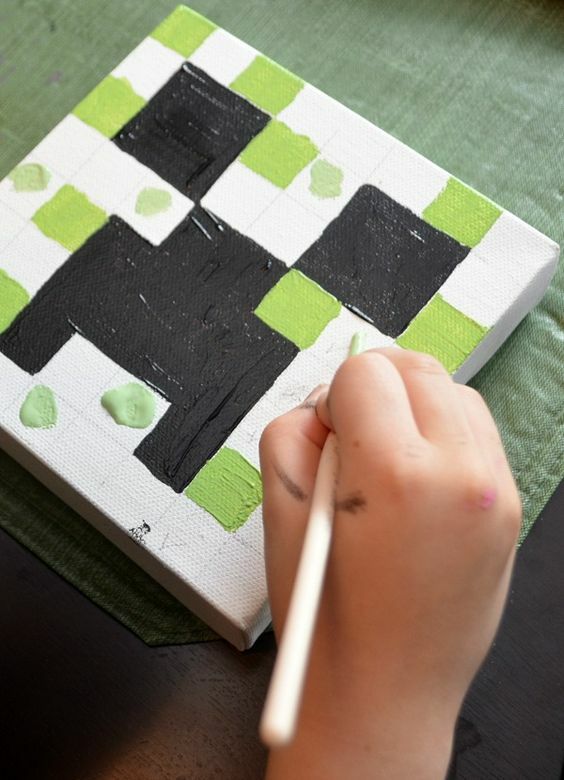 This blog details a Minecraft Themed birthday party. 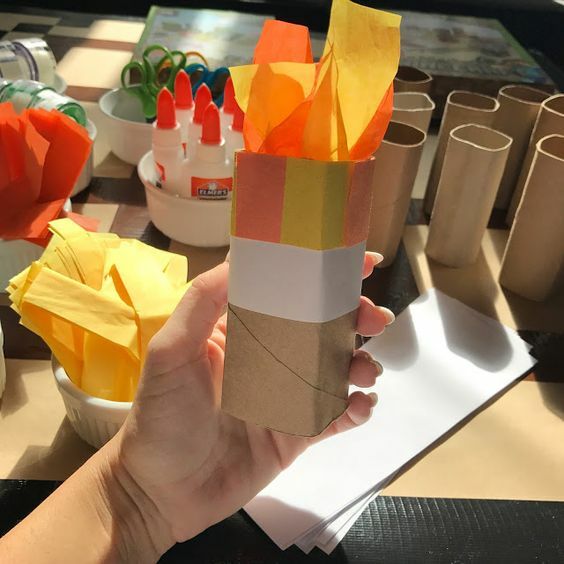 The paper torch was one activity for the kids to enjoy. Directions for the torch are about near the bottom of the page. Creating a pencil tin using paper and an old tin can is a classic craft. 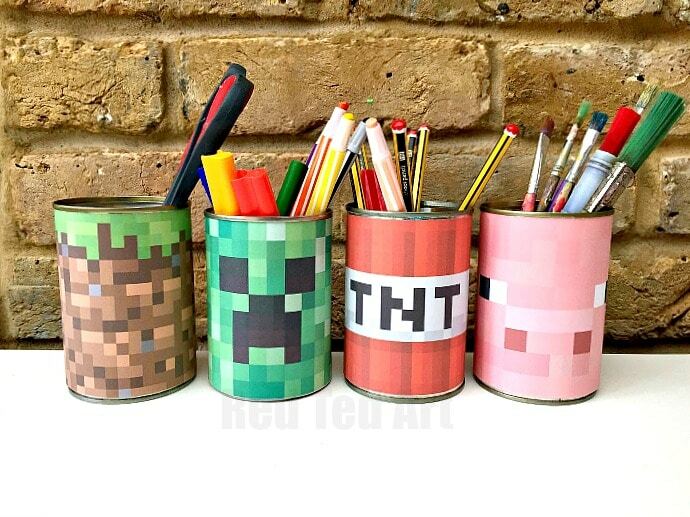 This simple activity takes a Minecraft print out and attaches it to a tin can to decorate. For the younger crafter this is nice and simple. For a more skilled older child, they could use grip paper to design their own image. 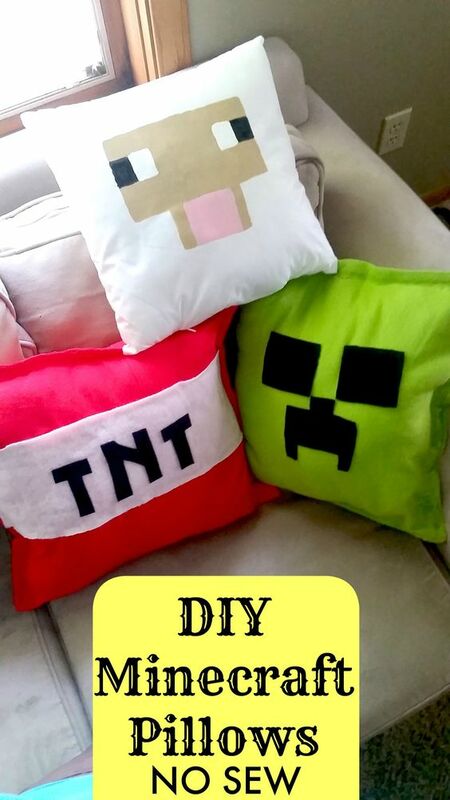 This blog details how to make Minecraft pillows without sewing at all! The pillows are held together with fusible bonding, which you iron to bond it, or fabric glue. 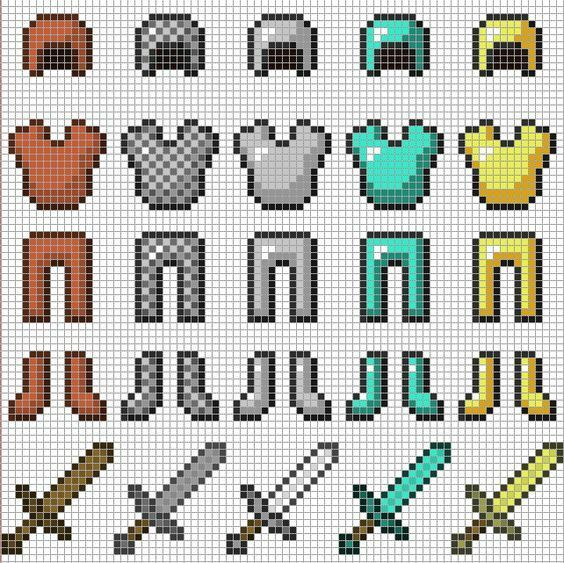 The Minecraft characters are painted or glued on with felt. This is a more involved craft, but being no sew it is safer for crafters of all ages. Minecraft is wildly popular and in the game Creative Mode allows the players to use their imaginations. 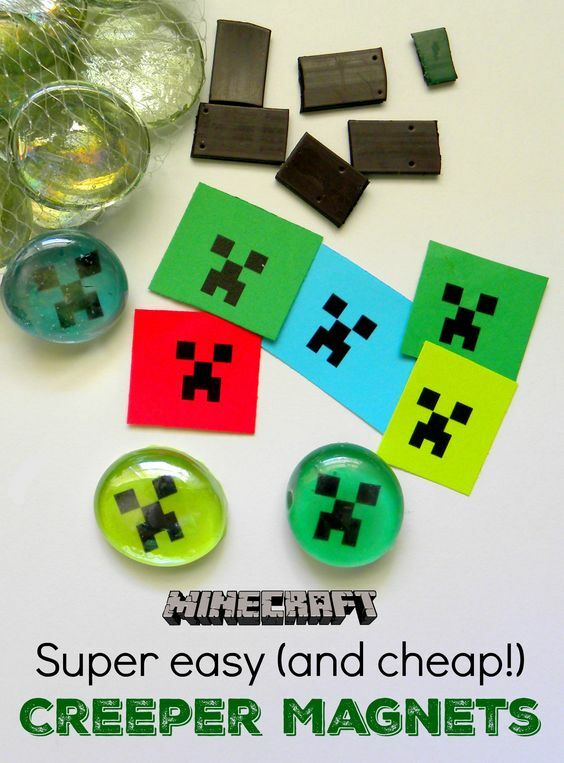 The crafts listed above allow them to tap into their interest of Minecraft and be creative in the real world. There are crafts that have a wide range of skills, depending on the child and the level of support desired by the adult. 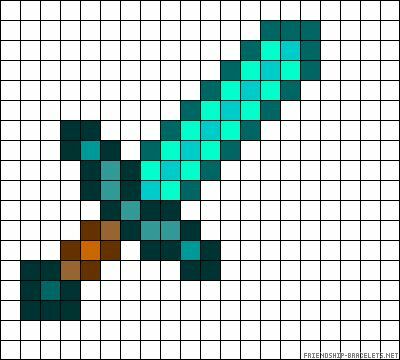 Crafts are a fun ways to connect the love of creation in Minecraft to making real objects. Microsoft announced the Better Together update at E3 2017. This update is intended to allow players multiple platforms to play together. In essence, it is intended to unite all of the platforms where Minecraft is available into a single game. This means cross-platform support that allows console, windows 10 PC, and mobile Minecrafters to play together! The update is coming soon, but first Microsoft will be running a beta for Windows 10 PC and Mobile players. The beta started on July 31 and will be followed shortly by a similar beta including the Xbox One. The update also includes new multiplayer features, like the ability for hosts to set player permissions and host options, and other tools. Lastly, the update includes the ability for players to share their custom creations in 3D by uploading the 3D models directly to Remix3d.com. This is a pretty big deal for Minecraft. We’ll be keeping you all updated as we get closer to the update going live. Minecraft To Be Updated with Cross Platform Play! Editor’s Note: This article was originally published on Pixelkin.org. Be sure to check them out when you get a chance! Mojang and Microsoft made some significant Minecraft announcements during their E3 2016 Press Briefing. Minecraft has already sold over 100 million copies, but neither company is ready to rest on their laurels. Massive updates are coming to all versions of the game to increase the number of ways people can play together, and number of people they can play with. They opened the Minecraft segment with a demo that showcased cross-device play between iOS, Android, Samsung Gear VR, and Windows 10 devices. This is being made possible through what they are calling the “Friendly Update” for the Minecraft Windows 10 Edition and the Minecraft: Pocket Edition. They also announced that they would be launching the Minecraft Realms services that will allow Windows PC and Mobile players to create and host their own multiplayer worlds that they can play in with their friends 24/7 even if they are offline. A one month demo of Minecraft Realms is available to people with Xbox Live accounts starting today. They also announced that they will be bringing more add-ons and texture packs to allow players to more fully customize their worlds. Even more announcements and surprises are in store for us at Minecon in September. Keep your eyes on Engaged Family Gaming for more information as it is released! Exciting things happen in the world of video games every single day. Everything happens so quickly that it can be tough for a parent to keep track of. Between work, carting the kids to everywhere under the sun, cooking, cleaning, and maybe (just maybe) getting a chance to sleep for a few hours parents just don’t have the time to keep up with everything happening in their child’s hobby. If the above paragraph describes you, then we have an answer for you. Every Monday morning EFG will be publishing a digest of some of the biggest video game news that your family needs to know. So kick back with your morning coffee and enjoy! Minecraft Story Mode Episode 3 Incoming! When this happens the PlayStation 4 will be able to play PlayStation 2 games using its improved processing power. This would make them look sharper and update them to HD, but it won’t really change the graphics themselves. The art will still be the same afterall. What makes this exciting is that there is a veritable MOUNTAIN of PlayStation 2 games out there and a lot of them are perfect for families. New Valkyria Chronicles Coming to PS4!!! SEGA has confirmed that they are working on a new entry in the fan favorite Valkyria Chronicles series. The original Valkyria Chronicles was a surprise hit on the PS3 but its two sequels were relegated to the PSP and weren’t even released in North America. The original has since been brought over to the US on Steam and it was very successful. I can’t help but think that this tipped SEGA off to the demand for the games. The next game will be a prequel and will be called Valkyria: Azure Revolution. A demo will be included in the Valkyria Chronicles HD Remaster coming next year. The new trailer is below. It is only confirmed for a Japanese release so far, but I think it is a strong possibility that the game will find its way here. Street Fighter V is coming to the PS4 next February. Until then we can expect dribs and drabs of information to keep up the hype train. The most recent nugget came in the form of a trailer for the tutorial mode that features Ryu and Ken back in their younger days. Super Star Wars for SNES released on PSN – causing the world to implode. Sony released a package of older Star Wars games along with the collector’s edition of Star Wars Battlefront. One of the games, Super Star Wars, was originally an SNES exclusive and this marks the first time an SNES exclusive game was released on a non-Nintendo console. The game is available for purchase for $9.99 on the PSN and it well worth it for Star Wars fans who are trying to relive the games of their youth or share that joy with their kids! Disclaimer: This is a sponsored post. The people over at Connected Camps reach out to our staff and requested that we publish a post about their program in exchange for compensation. I am required to disclose that, but rather than sneak the disclosure in at the end in a tiny font I wanted to declare it right up front along with the promise that I believe in this program and would not have published anything if I didn’t. Minecraft is a game that seems to have taken over the world in recent years. You would be hard pressed to find a school aged kid that has not at least heard of the game and millions of them play every day. The best part of the Minecraft craze is that it is more than just a simple video game. Minecraft is a game with a huge amount of potential for learning and expression of creativity. Unfortunately, the vast majority of parents can’t tap into this potential because they don’t know enough about the game to help their kids make the best of it. That is where Connected Camps comes in!Regular readers will recall that I wrote about Connected Camps before the summer started. 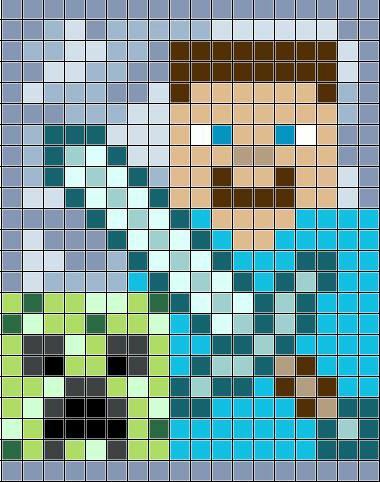 They are an online program that offered a Minecraft summer camp for kids who were interested in using the game world to help learn about math, technology, and teamwork. The summer may have come and gone, but Connected Camps is still hard at work bringing the learning power of Minecraft to the masses. They have recently launched a “Kid Club” for children ages nine though thirteen. Membership in the club costs $24.99 per month and includes full access to the Connected Camps Minecraft servers and includes special access to programs and events that they run. This isn’t just mindless fun though. Club members will be playing with experienced counselors in the very same moderated environment. This should go a long way towards helping timid parents feel more comfortable with online play. The $24.99 can appear to be a daunting figure, but Connected Camps does include an option to purchase it with an annual fee of $249 (a $50 savings). The membership also includes discounts on any afterschool, winter, and summer camps that they run. Below is a list of the biggest family video game news stories of the past week! Miyamoto-san made the follow very candid post on Facebook last week to announce the delay of Star Fox Zero into the first quarter of 2016. “I made a big decision last week. Electronic Arts has announced that the beta for Star Wars Battlefront will take place from Oct 8th through the 12th. The game is mostly done, but this will provide EA with useful data about their servers to help make the launch as smooth as possible. It will also have the advantage of serving as a demo for interested players to help them make up their mind. The beta will not feature the entire game, of course, but fill include several of the more important game modes. The download will be around seven gigs so you will want to take that into account when making your plans to play the game. We will be playing the beta so you can keep your eye here for more information and our impressions! The Toys to Life Hat trick is Now Complete! The toys to life category of toys has been huge in recent years. This year will be no exception as we will have three different games competing for our attention. Disney Infinity 3.0 launched on August 30th. Skylanders Superchargers launched last Sunday. And, LEGO Dimensions releases this Sunday. We’ll be publishing a comparison article this week. So keep your eyes on Engaged Family Gaming! Turner Broadcasting System and WME/IMG are coming together to start a new eSports league. This on its own wouldn’t be that interesting except for the fact that they will be televising the tournaments on Turner networks. The league will launch next year on TBS and each tournament will last 20 weeks. The first game they will be playing is Counter-Strike: Global Offensive. This may not be a tournament for families considering the game is a squad based shooter, but the proliferation of eSports is certainly relevant. Minecraft is a game that has taken the world by storm in recent years. There is hardly a grade school aged kid who hasn’t at least heard of it. 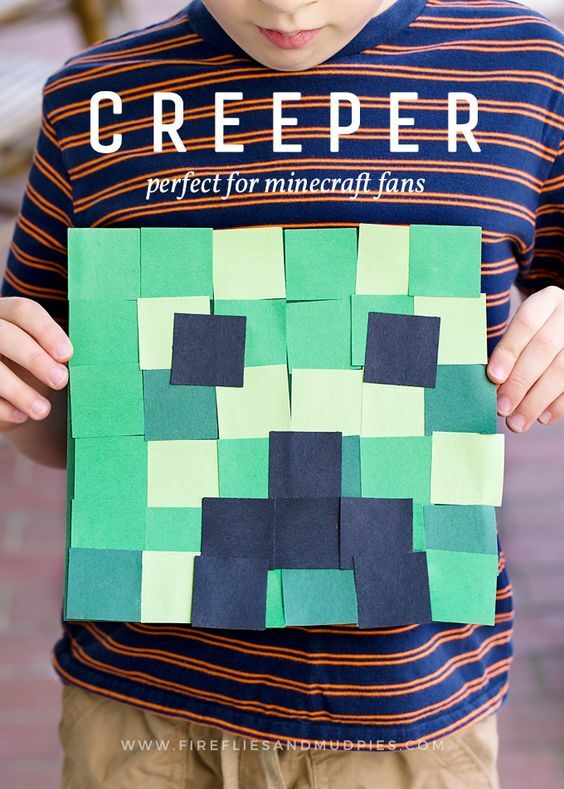 The best part of the Minecraft craze is that it is more than just a simple video game. It is a game with a huge amount of potential for learning and expression of creativity. Sadly, a lot of parents can’t tap this potential because they aren’t savvy enough to use the game correctly. That, my friends, is where Connected Camps comes in. They are an organization that, in concert with The Institute of Play, has launched a virtual summer camp to help teach kids (and their parents) how to play Minecraft and to make the most out of the experience. What exactly is a virtual summer camp you may ask? Good question. Connected Camps runs a program that is available for students to connect with around the clock to complete challenges and meet objectives on private servers run by the camp itself. In essence, they don’t “go” anywhere in the real world. They, instead, sign into a Minecraft server and participate in directed play. Minecraft is a game built around a logical framework. Everything is built one block at a time. This forced players to use critical thinking skills and develop their problem solving ability in order to complete game objectives. The camp adds an additional layer with their own challenges in order to enhance the experience! 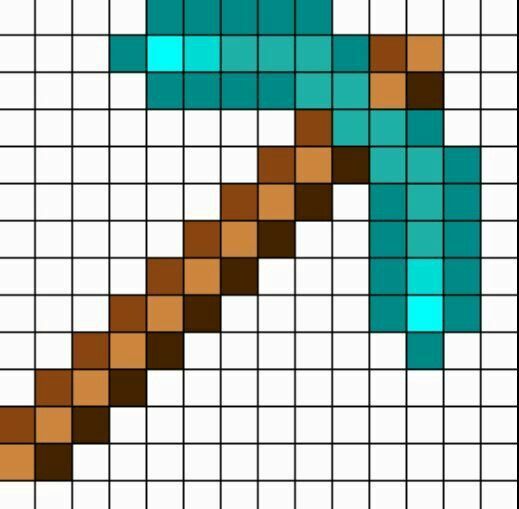 Minecraft is tough, but a lot of kids figure out very quickly how to built a hut and mine for diamonds. The camp will help teach them some of the advanced tools that they will be able to use in the game (many of which are logic puzzles in themselves). Some of the tools available in the game have been used by some enterprising players to make a working calculator so the tools are definitely impressive. Completing these challenges follow some of the same methods used to complete online courses at colleges across the country. This camp will force kids (and in some cases parents) to learn how to communicate online and inhabit an online space. Many of the challenges built into the curriculum require teamwork. Completion of the different exercises will teach kids how to work within a group and how to help organize people at different skill levels and at different locations. This is a skill that will become more and more useful as our workplaces embrace telecommuting. A huge portion of our lives is experienced digitally right now and this is only growing. As a result, it is important for us to teach our children how to participate in the online world in a positive way. Having young children participate in an online game under the watchful eye of camp counselors and other controls will help set a good example for players. This will, hopefully, carry over into other aspects. All of these things are great. The learning possibilities are limitless, but don’t just take my word for it. Take a look at the video below and see testimonials from campers and parents! Then make sure you sign up at www.connectedcamps.com. When you do sign up make sure you use the coupon code EFG30 for 30% off your the price of enrollment! That’s a HUGE deal!